PVC is suited for general, low-pressure, industrial applications for the conveyance of liquids and solids of suitable granular size. Made from a PVC compound that complies with FDA regulations. Although it is primarily intended for applications where pressure is not essential, it will withstand the pressures shown. 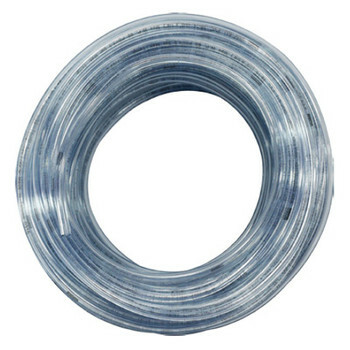 The clear PVC Tubing provides good chemical resistance, is lightweight, flexible and economically priced.